As it is such a cold Monday today I thought I would pick something pratical for this weeks No Budget Closet piece. 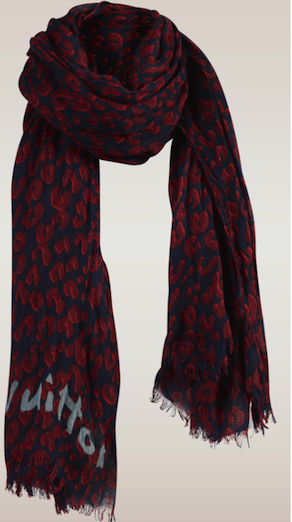 This being the leopard print Louis Vuitton scarf in the colour navy. I have seen a few people wearing this, and because it is such a big thick scarf it looks so warm perfect for this weather, and on trend with the animal print ;) Now this will cost you £505 which is a lot for a scarf but hey if money was no object I’d snap this up! I’m drawn to these colours they seem perfect for winter and I feel you could even carry this through into early spring. If you had the money would you buy this scarf?